CASTLE HILL -- You'll find all sorts of things in the subway, but skunks? 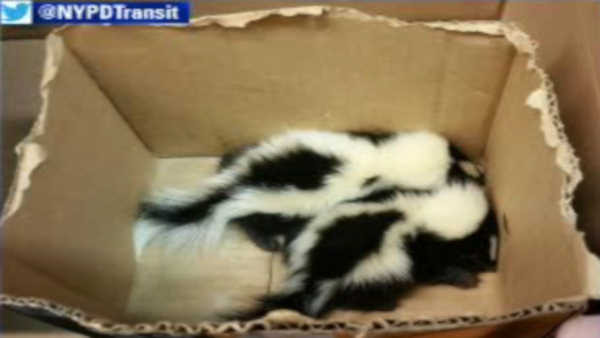 A transit worker and an NYPD officer rescued two baby skunks that had strayed into the Castle Hill subway station in the Bronx last weekend. The baby skunks were taken to a vet to be checked out. The City's Parks Department notes that skunks are native to New York and are part of the city's wildlife.